In the summer of 1999, Larry Hott and Diane Garey of Florentine Films/Hott Productions began work on a two-part, two-hour documentary film for PBS. "The Harriman Expedition Retraced" will bring together the dynamic elements of both the 1899 and current expeditions. The film will tell the story of the original voyage, as well as the life stories of the expedition's most compelling characters. 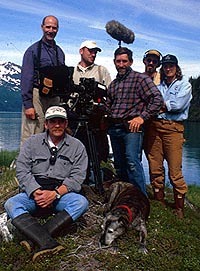 Larry Hott, far left, brings his crew to film in Prince William Sound, June, 1999. From left, Hott, Ron LaMothe, Allen Moore, Matt Monroe, Simone Machamer, and seated, Rob Keelan. Photographed by Ted Raynor. 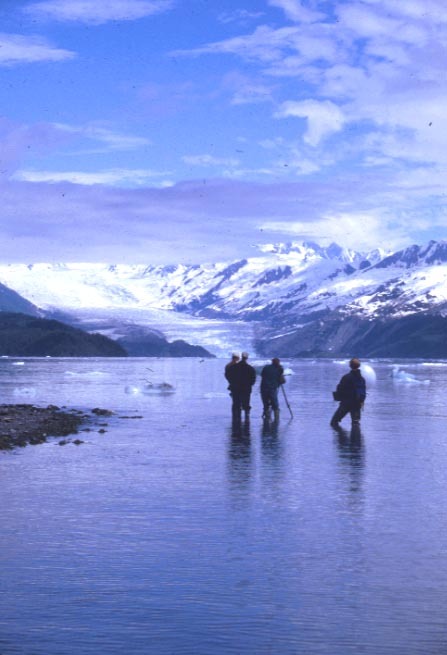 Modern-day cinematography and commentary by contemporary scientists and artists along the coast will give viewers an opportunity to consider the changes of the past century in Alaska. 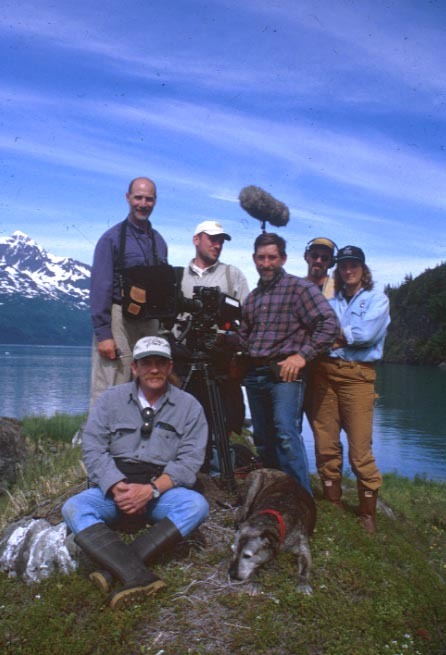 Filming in the Harriman Fiord, Prince William Sound, June, 1999. "The Harriman Expedition Retraced" will be Hott and Garey's fifteenth major collaboration on a PBS documentary. Their awards include an Emmy, two Oscar nominations, and the George Foster Peabody Award. Sheep Hunter in Alaska, 1898, photographed by Dall DeWeese. "Things are on a new scale. The standard one brings with him will not hold. 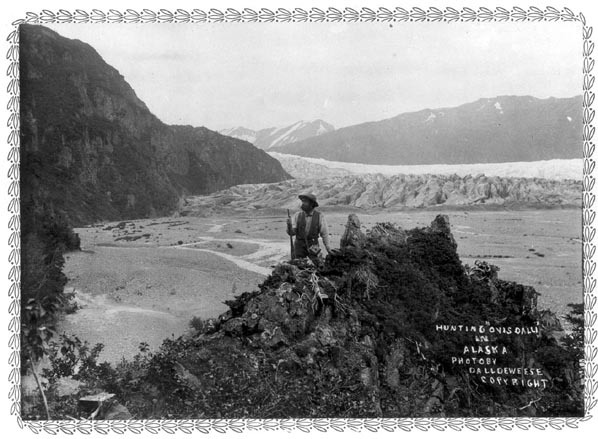 The eye says it is three miles to such a point and it turns out six; or that the front of yonder glacier is a hundred feet high and it is two hundred more. For my part I never succeeded in bring my eye up to the Alaska scale." John Burroughs, Volume I, The Harriman Alaska Expedition. "There is one other asset of the territory not yet enumerated, imponderable, and difficult to appraise, yet one of the chief assets of Alaska, if not the greatest. This is the scenery." Henry Gannett, geographer, writing in Volume II of The Harriman Alaska Expedition.